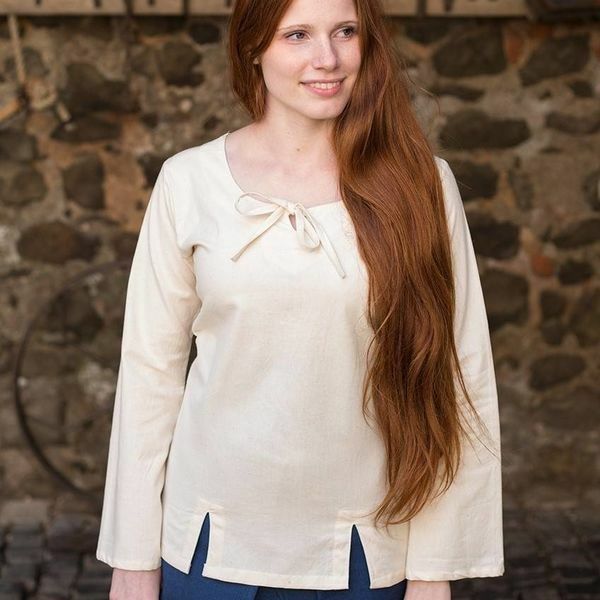 This beautiful ladies blouse is suitable for re-enactment, LARP, Cosplay etc. 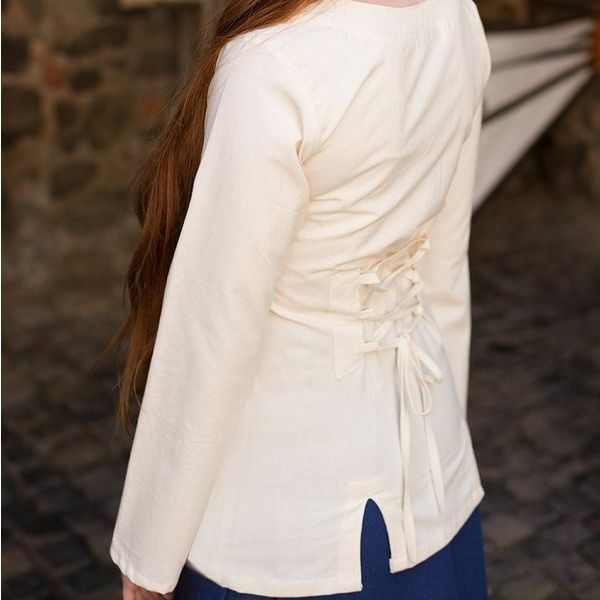 At the back, at the lower back, there are laces so that the blouse can be tied. 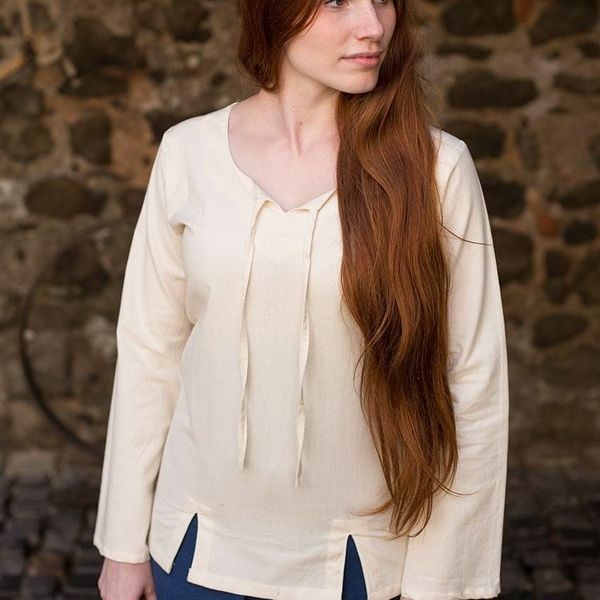 This makes a beautiful fit. 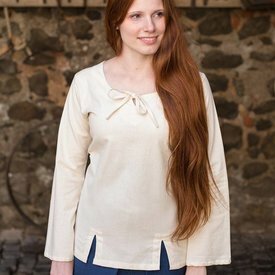 The bottom of the blouse has two cut-out details, both on the front and the back.